Many have been claiming that Leipzig is the new Berlin. Leipzig is one of the coolest, hippest places on the planet, but not so cool as to be pretentious. With its links to Bach, Schubert, Mendelssohn, Martin Luther, Goethe, Schiller, and the progressive Neue-Leipziger-Schule art movement, Leipzig is a great center of German culture. Leipzig boasts impressive art nouveau architecture, an meticulously clean city center, meandering narrow alleys, and the temptations of coffee and cake on every corner. In Faust, Goethe describes Leipzig as “a little Paris”; in reality it’s more reminiscent of Vienna, while remaining a distinctly energetic Saxon town. Nevertheless, Goethe was wrong: Leipzig is much more fun than Paris. Much of Leipzig’s city center was destroyed during the war, but reconstruction efforts have uncovered one of Europe’s most vibrant cities. Leipzig’s art nouveau flair is best discovered by exploring the countless alleys, covered courtyards, and passageways. Leipzig’s musical heritage is dominated Johann Sebastian Bach (1685–1750), who was organist and choir director at Leipzig’s Thomaskirche, and the 19th-century composer Richard Wagner, who was born in the city in 1813. Today’s Leipzig offers unparralled music, theater, and opera, not to mention fantastic nightlife. With a population of about 500,000, Leipzig is the second-largest city in eastern Germany (after Berlin) and has long been a center of printing and bookselling. Astride major trade routes, it was an important market town in the Middle Ages, and it continues to be a trading center, thanks to the Leipziger Messe (trade and fair shows) throughout the year that bring together buyers from East and West. Unfortunately, Leipzig has a tendency to underwhelm first-time visitors. If you take Leipzig slow with a great guide, its subtle, hidden charms will surprise you. 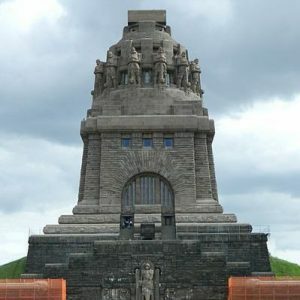 While each guide does each tour differently, there are standard sites that are generally always included in a visit to Leipzig. The itinerary can always be changed based on your own preferences, so please always discuss these things prior to your tour with your guide. The order in which the sites are shown are also always different based on the starting point which you have agreed upon with your guide. Mädlerpassage (Mädler Mall). The ghost of Goethe’s Faust lurks in every marble corner of Leipzig’s finest shopping arcade. One of the scenes in Faust is set in the famous Auerbachs Keller restaurant, at No. 2. Marktplatz. Leipzig’s showpiece is its huge, old market square. One side is completely occupied by the Renaissance town hall, the Altes Rathaus. Museum der Bildenden Künste (Museum of Fine Arts). The city’s leading art gallery is minimalism incarnate, set in a huge concrete cube encased in green glass in the middle of Sachsenplatz Square. Thomaskirche (St. Thomas’s Church). Bach was choirmaster at this Gothic church for 27 years, and Martin Luther preached here on Whitsunday 1539, signaling the arrival of Protestantism in Leipzig. Originally the center of a 13th-century monastery, the tall church (rebuilt in the 15th century) now stands by itself. Bach wrote most of his cantatas for the church’s famous boys’ choir, the Thomanerchor, which was founded in the 13th century; the church continues as the choir’s home as well as a center of Bach tradition. Bach-Museum im Bach-Archiv Leipzig (Bach Museum at the Bach Archives Leipzig). The Bach family home, the old Bosehaus, stands opposite the Thomaskirche, and is now a museum devoted to the composer’s life and work. The newly renovated museum offers several interactive displays; arranging the instrumental parts of Bach’s hymns is by far the most entertaining. Leipziger Universitätsturm (Leipzig University Tower).Towering over Leipzig’s city center is this 470-foot-high structure, which houses administrative offices and lecture rooms. Dubbed the “Jagged Tooth” by some University of Leipzig students. Mendelssohn Haus (Mendelssohn House). The only surviving residence of the composer Felix Mendelssohn-Bartholdy is now Germany’s only museum dedicated to him. Museum in der Runden Ecke (Museum in the Round Corner). This building once served as the headquarters of the city’s secret police, the dreaded Staatssicherheitsdienst. The exhibition Stasi—Macht und Banalität (Stasi—Power and Banality) not only presents the offices and surveillance work of the Stasi but also shows hundreds of documents revealing the magnitude of its interests in citizens’ private lives. Museum zum Arabischen Kaffeebaum (Arabic Coffee Tree Museum).This museum and café-restaurant tells the fascinating history of coffee culture in Europe, particularly in Saxony. The café is one of the oldest on the continent, and once proudly served coffee to such luminaries as Gotthold Lessing, Schumann, Goethe, and Liszt. Kaffeehaus Riquet. The restored art nouveau house dates from 1908. Riquet is a company that has had dealings in the coffee trade in Africa and East Asia since 1745, as is indicated by the large elephant heads adorning the facade of the building. Neues Gewandhaus (New Orchestra Hall).In the shadow of the Leipziger Universitätsturm is the glass-and-concrete home of the Leipzig Philharmonic Orchestra. Zeitgeschichtliches Forum Leipzig (Museum of Contemporary History Leipzig). This is an excellent museum of postwar German history. It focuses on issues surrounding the division and reunification of Germany after World War II.